The idea of the ‘Easter Egg’ in DVDs is well known, where they include a hidden bonus for you to find. Well the boffins at The University of Plymouth Centre of Excellence have included their own Easter Egg in the form of a hidden message in the roof panels of their new bus which hit the road this weekend. Sadly it might not work on older phones, but certainly those with Android 6 (Marshmallow) and above and also newer iPhones have the necessary scanning software which automatically recognises several forms of barcode and QR codes. Simply turn your camera on and hold it about 18 inches from the coded panels as shown below. If you have the correct app then your camera should recognise and automatically read the hidden message contained within the dots. 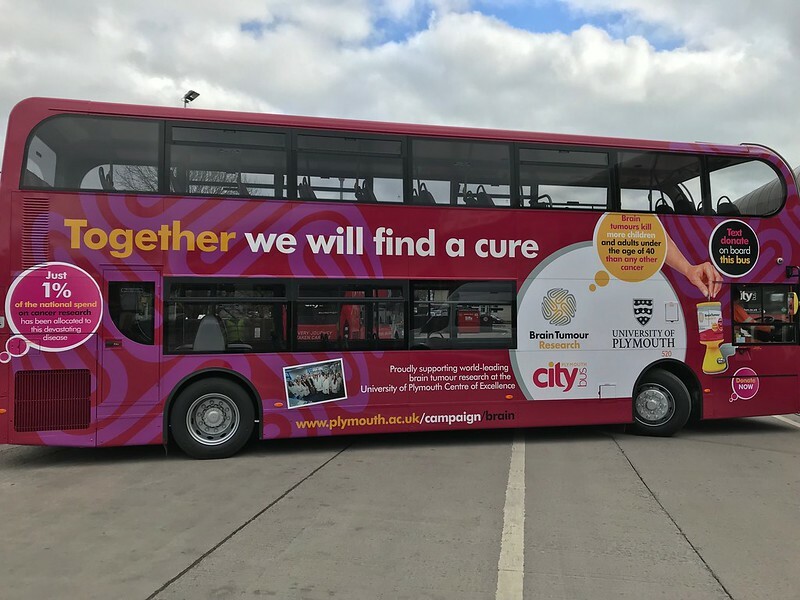 Working with the University, Plymouth Citybus are leading the field with this form of promotional material. If this works as well as hoped then the next version of the Plymouth Citybus App will also include the ability to read hidden messages on these panels so it will work on older phones as well. This opens up lots of promotional opportunities for Plymouth Citybus and Go Ahead that other bus companies have yet to take advantage of. It also gives Richard Stevens bragging rights within Go Ahead as not even Andrew Wickham at Go South Coast has introduced this yet, and they normally get everything first!